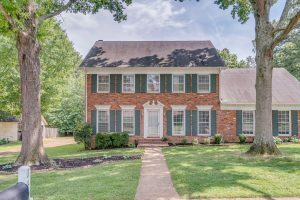 Amazingly nice brick home with lots of features and amazing floor plan. Backyard view and family of 6 deer that routinely come by for a visit! Door between master bedroom and master bathroom close which allows the early riser to get ready while the other sleep. Great neighbors! They are far enough away to feel like you have space, but still have the neighborhood feel! Children can attend Arlington Schools (#5 in the state) for around $3800/yr for transfer student tuition. Super cute one level home with open floor plan. 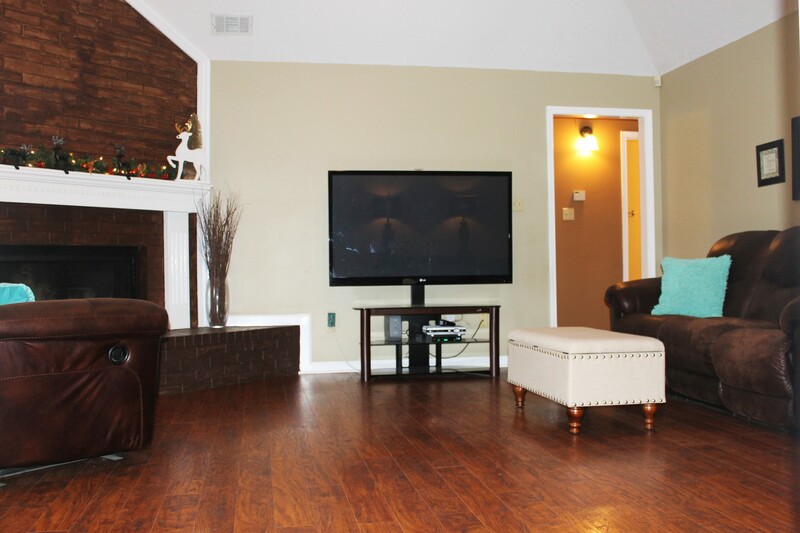 Wood laminate floors, separate laundry room, and beautiful master bedroom and bath. 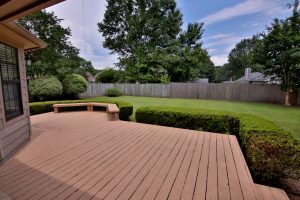 The master suite includes a walk in closet and double vanities The outdoor space includes a deck and fenced backyard. The things I love about my town are it’s a short drive to just about anywhere in the Memphis metro area. 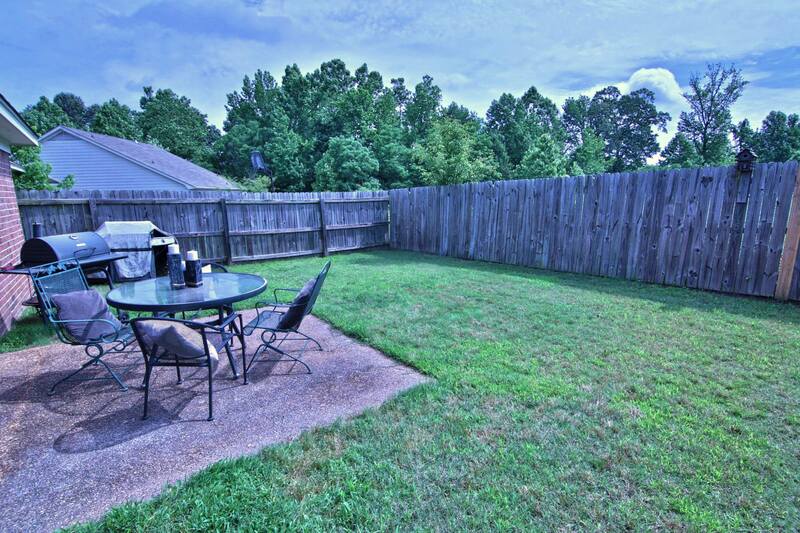 It is just a few minutes from Germantown, Collierville, Lakeland, Bartlett, and Arlington. This makes its ideal to enjoy all the amenities of this great area. Our neighborhood is great because it is close to everything, but still has the quiet feel of being in a small town. You can reach all the major amenities of the Memphis area but can still see a beautiful clear night sky. It is also a walking distance to eating, shopping, and entertainment. Furthermore, its a very family friendly neighborhood with tons of young families and many other chain stores. We love how quiet it is at night. 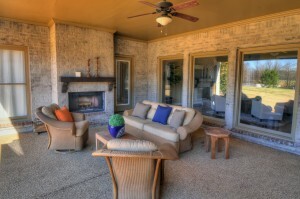 We are able to avoid the noise and bustle of the city, but still within reach of its amenities. We love eating at Skimos, Rio Azul, China Spring, and hanging out at TJ Mulligans and Flying Saucer. Grocery stores couldn’t be any more convenient. Kroger is within walking distance while Sprouts is less than 10 minutes away. When we bought the property we were drawn to the great school district, no city taxes, and the accessibility to everything. We were also drawn to the fact that the neighborhood is off the beaten path, but not out in the country. Its the best of both worlds. Another thing worth mentioning is we are in the Germantown High School district, which is one of only a handful of International Baccalaureate (IB) schools in the area. 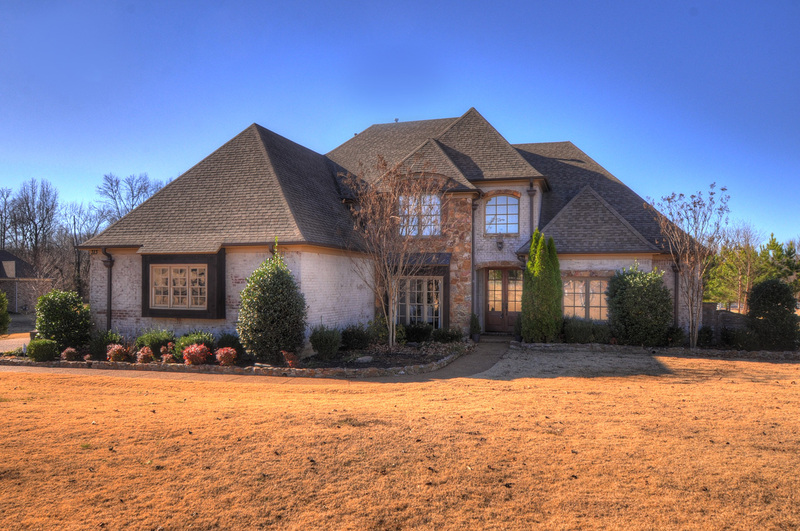 It is also only 2 miles away from Briarcrest Christian Schools, one of the best private schools around. Of course we all like different things, but we love going to the 24-hour fitness gym right around the corner and hitting up the driving range just a couple miles away. Since we have installed a new AC unit and put on a new roof with ridge vents, we have seen our utility bill range in the $150 area. Super cute one level home with open floor plan. 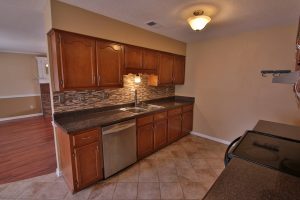 Wood laminate floors, tile back splash in kitchen, beautifully updated bathrooms. The master suite includes a walk in closet and double vanities The outdoor space includes a deck and fenced backyard. Our neighborhood is great for a family. There are tons of children of all ages around the neighborhood. There is also a great park with playground and walking track.We love to eat at the local restaurants around the town. There are plenty of grocery stores and other types of stores all around the neighborhood. There are 2 Kroger stores you can choose from and many other chain stores. We were drawn to this area to buy a home because of Location! The schools were a huge part. We love the area because of all the family activities that are available. They have so many things for families do. One of our favorites is Bartlett Movies in the park. 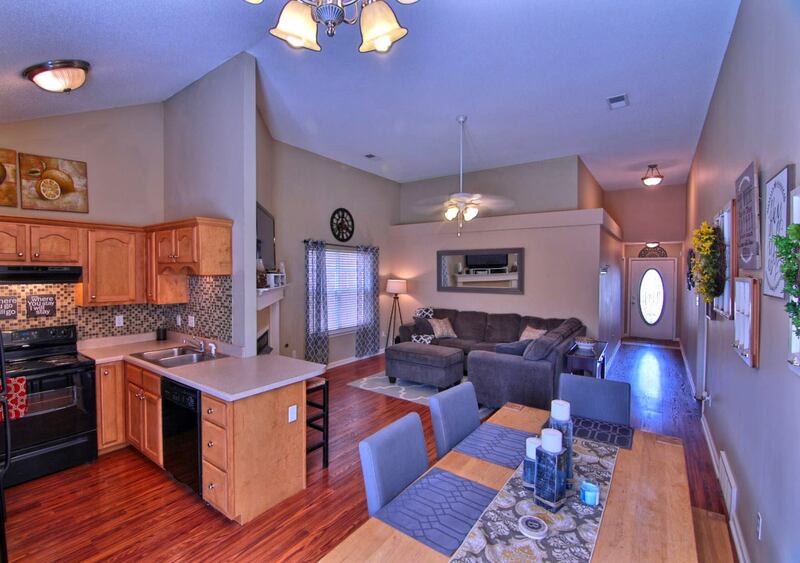 Super cute one level home with open floor plan. 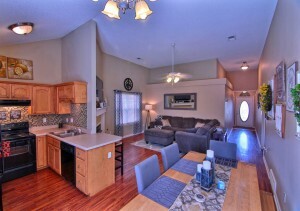 Wood laminate floors, tile backsplash in kitchen, and pantry added. 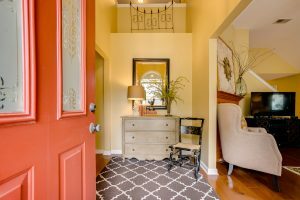 The floor plan features a split bedroom with two full baths. The master suite includes a walk in closet and the private bath has double vanities and jetted tub. 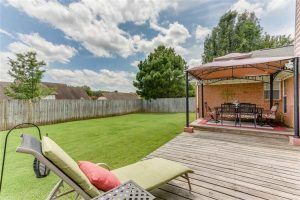 The outdoor space includes a patio and fenced backyard. We love our town for all of its rich culture, local events, and unique hotspots like Overtown Square and The Arlington Depot. We also love the movements that are promoting growth in our city like #Choose901. It is encouraging to see so much time and money being invested into new ventures like Sears Crosstown and Lakeland City Improvements. Our neighborhood’s central location is everything for us. Within 5 minutes, we can be on Interstate 40, eating at one of dozens high class restaurants, or shopping at places like the Wolfchase Mall and the soon to open IKEA. Our neighborhood is also a great, safe place where children are comfortable playing outside. There are dozens of excellent places to eat within minutes of our home. Some of our favorites are Macaroni Grill, Red Fish Asian Bistro, and Texas Roadhouse. We are blessed to have two great grocery stores less than a mile from our neighborhood. Most of our grocery comes from the newly remodeled Kroger, but when we want the freshest meats and vegetables, we visit the Sprouts across the street. When we first purchased our home, we were drawn to the simple, open layout, the quaint neighborhood, and the central location. We absolutely love how everything we could possibly need, whether groceries/dinner/entertainment/medical/gym is within minutes of where we live. Our neighbors do a wonderful job of maintaining their properties and looking out for each other. Anytime we leave town, we can rely on multiple neighbors to receive packages or pickup mail for us. The traffic in the area is light enough to freely jog/bike throughout the neighborhood. It is also right on the edge of the city which allows for easy access to rural areas when we want to get away. We love walking, jogging, picnicking, and fishing at the Davies Plantation park just a couple of minutes from our house. We also do a lot of boating on Garner lake which is about 5 minutes from the house. 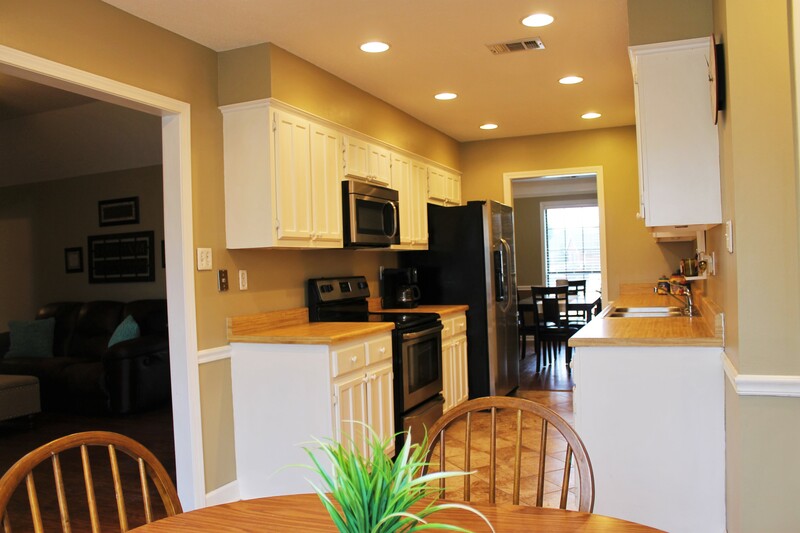 Our Utility costs are very affordable as our home is well insulated. All windows are insulated to keep utility costs down. Our average utility bill runs about $125-$150/month. MLGW serves us will electricity, gas, and water which is nice because all utilities are included in a single bill. Another great thing about our neighborhood’s utilities is that all of the infrastructure is new so, even in the strongest storms, we rarely lose power. The things we love about the Eads area are that it is close enough for city conveniences but still has a quiet, safe, small town feel. 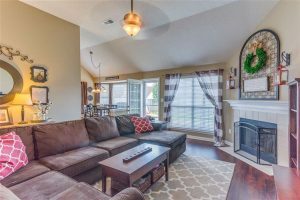 The convenient shopping areas include Saddle Creek in Germantown and the wonderful Carriage Crossing open-air shopping center in Collierville. There are also plenty of area churches and award-winning schools nearby. Our neighborhood is great for families. The neighbors are friendly and look out for each other. There is also a fabulous 4th of July celebration for the neighborhood to enjoy. You may even catch a glimpse of several horses on your morning walk! We love to eat at several close-by restaurants, including Skimo’s, Gourmet Pizza, Mulan Bistro, and El Mezcal. The famous Wolf River Café is also close by where we love to get our fill of catfish! Kroger is around the corner in addition to several small country stores to pick up milk, eggs, dog food, and gas. We also take the kids to the nearby Dairy Queen for an ice cream treat after dinner! 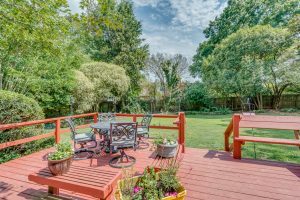 When we bought the property, we were drawn to the open yards, natural flowing creek and quiet neighborhood close to both Germantown and Collierville. We loved the long backyard with plenty of space and shaded trail by the creek. 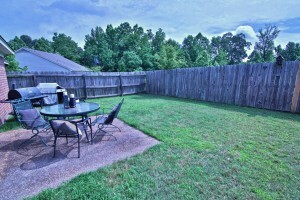 The neighborhood is relaxing estate living within 15 minutes of both Germantown and Collierville without the city taxes. It’s your vacation home at the end of every day! 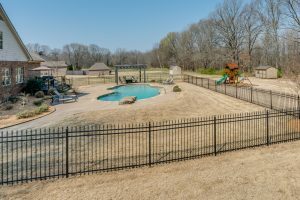 A few other things that I can mention are the length of the landscaped lot, which provides a very deep back yard for family activities, like cookouts, games, gardening, camping and football. The house also includes an indoor, underground storm shelter, which is perfect as a sleepover spot during those stormy Memphis nights. We love watching the stars at night and the peaceful neighborhood community. We also enjoy being close to the Wolf River trails and Herb Parsons Lake for walking, hiking, and fishing. We all like different things, but we enjoy nature walks and riding our bikes through the neighborhood trails to the stables and the nearby Wolf River trails. Our utility costs are better than we ever expected with 3 energy efficient systems, programmable thermostats, maintenance-free septic tank, and city water. Whether you live in a studio, townhome, ranch style home, or a luxurious mansion, your home is likely to be your single most valuable asset, and making sure that it is protected will help you to prevent a financial meltdown in the event of a disaster. Floods, fires, burst pipes or break-ins are just some of the catastrophes that can befall any home, and it can happen at any time, including when you least expect it. However, while losing your home to such a disaster is certainly not a pleasant experience, losing your financial investment can make the situation many times worse. Home insurance typically goes hand-in-hand with contents insurance, and it usually makes sense to have both on the same policy. After all, the contents of a home can often come to more value than the home itself, particularly if you own a large amount of valuables, such as priceless works of art, expensive jewellery or antique furniture. Additionally, the contents is often more at risk than the actual bricks and mortar that make up your home, particularly in the case of theft and accidental damage. The basic purpose of a home insurance policy is to make sure that you are financially covered so that you can get your life back on track as quickly as possible should a disaster occur. Nonetheless, many are negligent when it comes to dealing with their responsibility to protect themselves against any eventuality. Fortunately, most people have a legal or contractual obligation to take out a home insurance policy anyway. Anyone who has a mortgage on their property will be required by the lender to have a suitable insurance policy, since your investment also belongs to the lender. If you do not have a mortgage, and you own the property outright, you’ll generally not be under any legal obligation to have insurance, though it would be extremely foolish not to. – When estimating the cost of completely rebuilding your home, don’t think about what you paid for it in the first place. Property prices fluctuate constantly, and the cost of a rebuild, including the labour and materials required, may not be reflected by its purchase value. 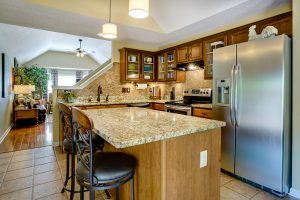 You’ll also need to take into account the age of your home, local cost concerns and any extensions or other upgrades that you might have made to it. – Make an inventory of the contents of your home, paying particular attention to expensive items such as furniture, jewellery, electronics, appliances and any other valuable items. Be sure to include as much detail as possible about each item in your inventory, including estimated value, the date of purchase and a photo. For particularly valuable items, you should consider getting a professional valuation, and this may be required by the insurance provider. – Liability coverage is also important, since it prevents you from being sued in the event that someone has an accident in your home. With the compensation culture being as ubiquitous as it is, you should make sure that you’re protected. 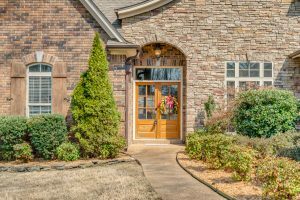 Although a typical home insurance policy should include a considerable degree of liability coverage, those with a high net worth may want to consider an additional umbrella policy. – The cost of getting covered varies depending on a number of factors, including the deductible. The deductible is the amount, typically a percentage, which you pay towards a claim. The higher the deductible is, the lower your premiums will be. However, you’ll also need to be absolutely sure that you will be able to pay the deductible should the worst happen, lest the insurance provider not pay out. – If you have a mortgage on your property, do not settle for the minimum amount of coverage that they require, since this will usually only cover the value of the mortgage itself without taking into account the deposit you paid or the contents of the property. – If you’re a tenant, you don’t need to worry about home insurance, since this will be the responsibility of the landlord. However, you will still want to take out a contents insurance policy, particularly if you have your own furniture and various other valuable items in your home. – In the event of a disaster that renders your home uninhabitable for a period, it pays to be covered for additional living expenses. Note that additional living expenses will only be covered if an accident or natural disaster occurs and not in situations where your home is under renovation or reconstruction for any other reason. Studying the above points will help you to determine your home and contents insurance needs and come up with an approximate sum that you can approach insurers with when seeking out a quote. Expected wear and tear won’t be covered, and you cannot make claims for items that wear out due to age and extensive use. Insurers expect clients to maintain a degree of responsibility, and they will be less likely to pay out for a claim in cases of poor maintenance or negligence. A claim won’t be accepted if it is a result of misinformation upon taking out the policy. Be honest about the state of your home, including locks and alarms. You’ll need to let your insurance provider know about any building work, use of the place for commercial purposes or the presence of another resident. A typical home insurance policy will require that you do not leave the home unattended for more than 30 consecutive days. Most policies will not cover valuable items, such as laptops or bicycles, which are regularly taken away from home. These items need additional coverage. Damage caused by war, terrorism or civil unrest is not likely to be covered by any home insurance policy. Damage deliberately caused by you or someone living with you will not be covered, and making a claim under such circumstances could be considered insurance fraud. The list above should serve as nothing more than a guideline, and there will likely be other things that you will not be covered for. However, many policies provide coverage for rarer disasters for an additional fee. If your property falls into any of the above categories, you can be quite certain that a standard home insurance policy will not provide adequate coverage. If you have a non-standard home, you’ll likely need a professional survey carried out to determine its current condition before approaching an insurance company that caters specifically towards the needs of owners of non-standard properties. You should expect the premiums to be significantly higher too. Price comparison websites should be able to give you a fairly accurate idea of how much you should spend on home insurance. By answering a few questions about the type and state of your home and the value of its contents, you’ll be provided with some estimates. Note that your insurance premiums will vary significantly depending on your area too: for example, areas where the crime rate is high or there is a greater risk of flooding demand higher premiums. On a final note, do not consider the cost of the premiums to be the most important factor. Home insurance is often not appreciated until it is actually needed, in which case you’ll be extremely grateful if you have the level of coverage that you need. Taking out a comprehensive home and contents insurance policy will go a very long way in helping you and your family to get your lives back to normal in the event of an unforeseen disaster.